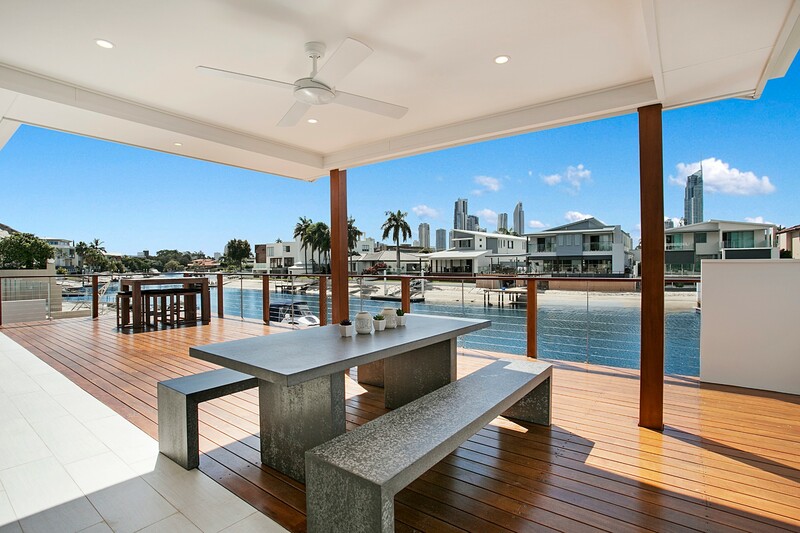 Capri Waters holiday rental occupies a prime waterfront location on the Isle of Capri and promises a relaxing holiday spent chilling on the pool deck or surfing at the beach 1km away. 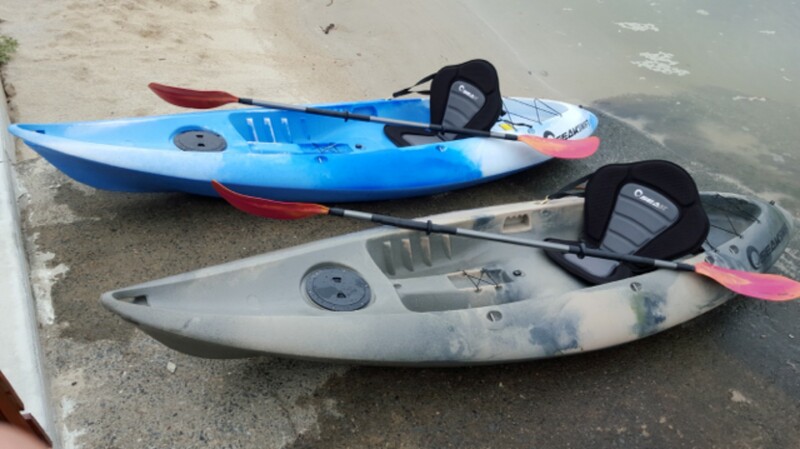 Kayaks are provided for exploring the neighbourhood at a gentle pace on the river. 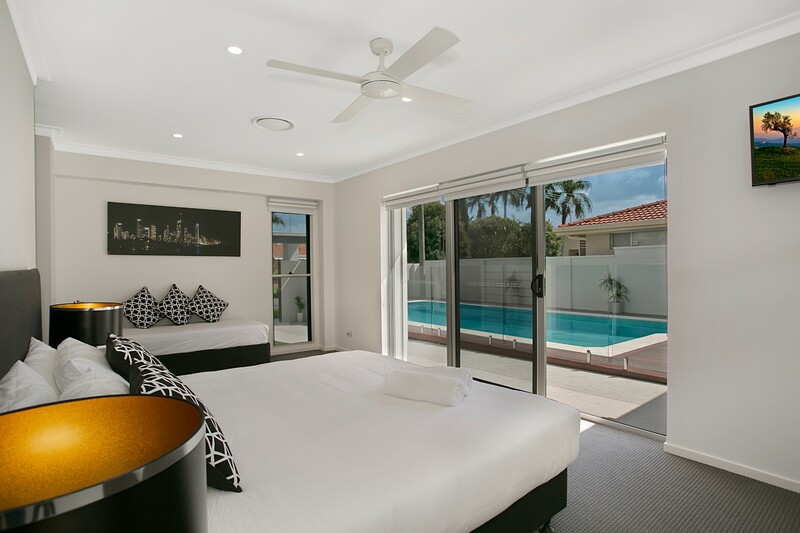 There’s room to bring all the family to this 4 bedroom, 3.5 bathroom Gold Coast villa rental which can easily sleep 10 adults. Party by the pool or chill out with friends in the spacious living/entertaining area while the kids make their own fun in the media room. 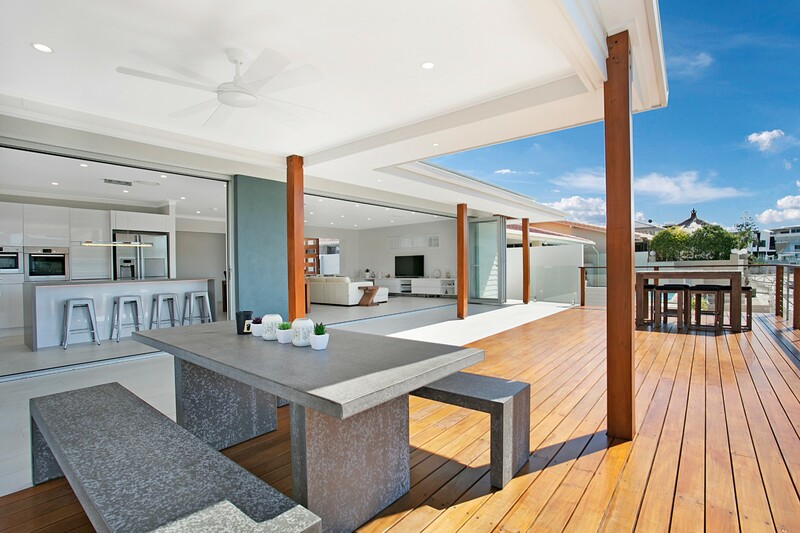 The open kitchen/lounge/dining area flows seamlessly out onto the deck through fully opening doors. Leave the car in the garage and stroll to the neighbourhood shops, restaurants and Manolas Brothers Deli which is renowned for its Mediterranean specialities. After dark, Surfers Paradise comes to life with a casino, restaurants, bars and nightlife or opt for a quiet night at home, stargazing from your own chunk of paradise. 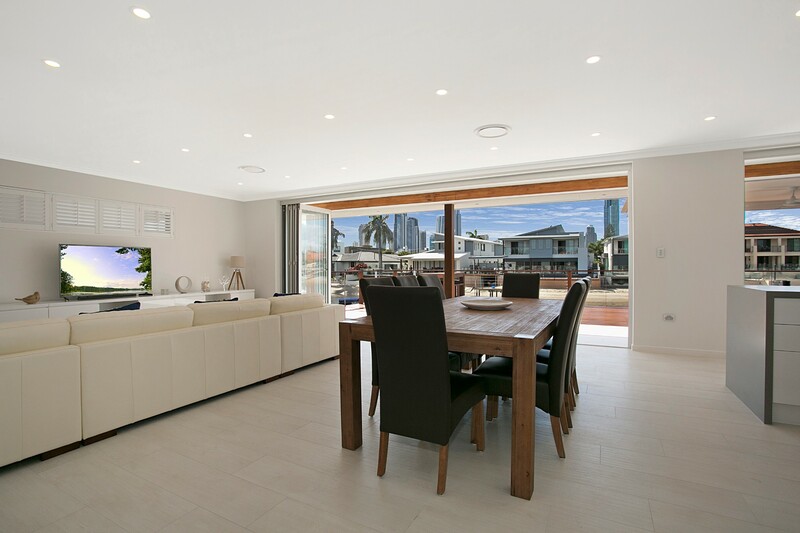 Capri Waters was designed around the waterfront view and the bright and airy living area does it full justice. 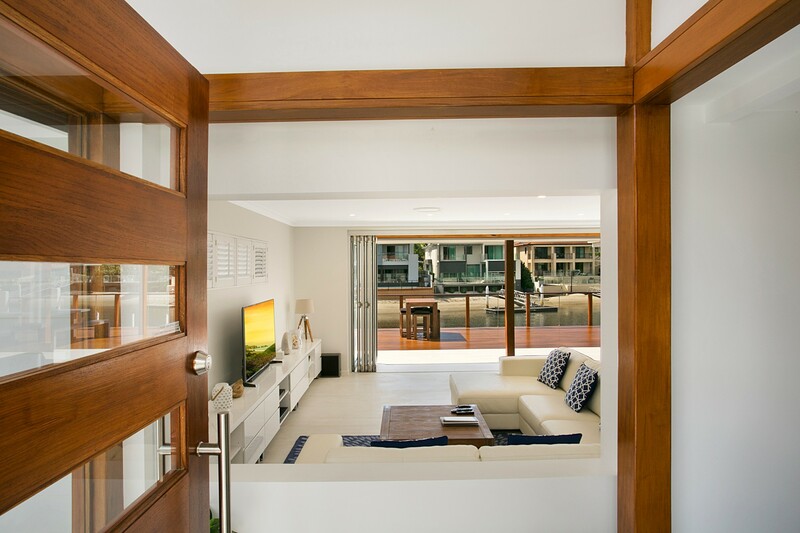 A full wall of bi-fold doors slide open to create an alfresco lifestyle from open-plan kitchen and living area to outdoor pool deck with river views. 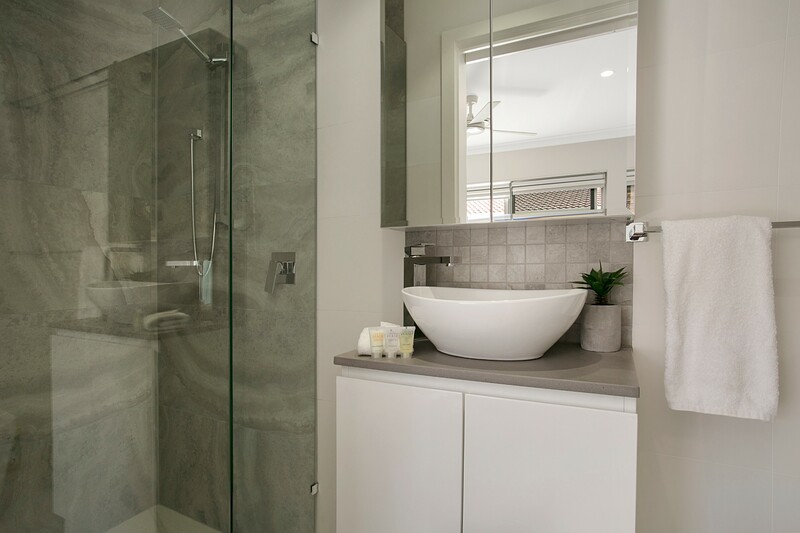 Dine indoors at the breakfast bar over a leisurely meal or opt for a social get-together at the formal dining table separating the lounge from the open-plan kitchen. 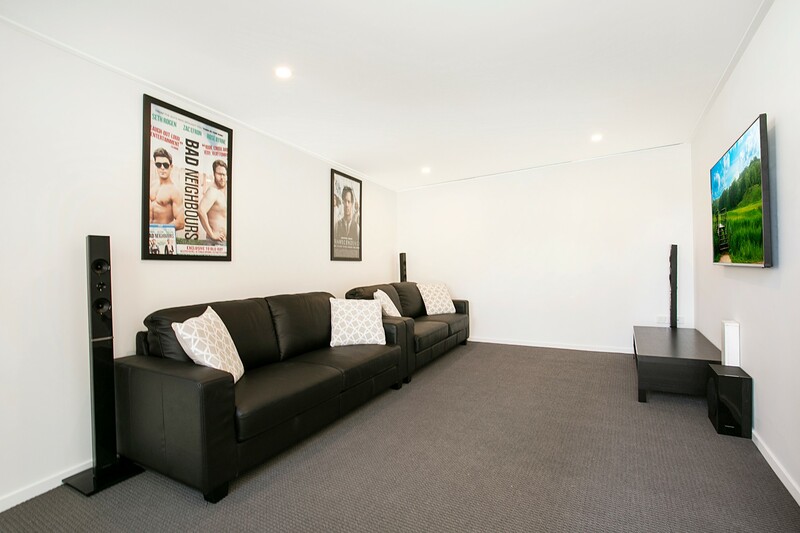 The white leather sofa is the place to rest tired limbs after a strenuous workout on the beach and watch the Smart TV with the family. The separate media room allows everyone to spread out and do their own thing. Sink into the black leather sofas and enjoy your favourite Nexflix show on the second SmartTV. 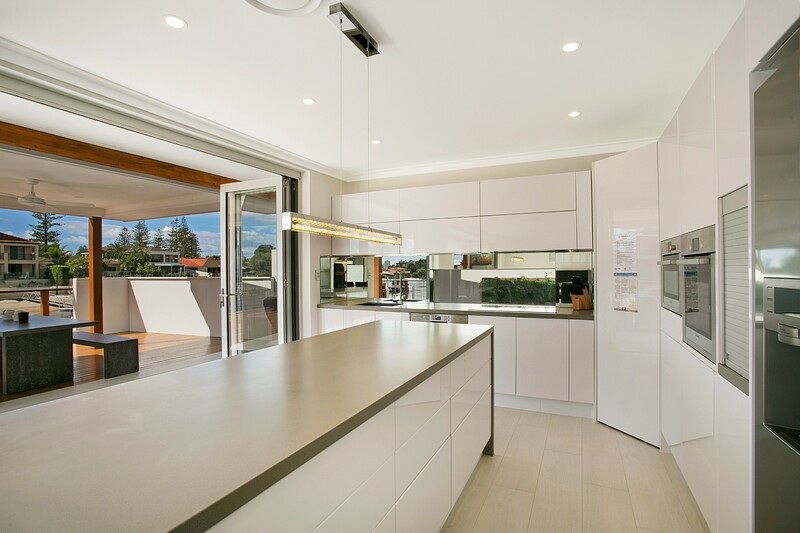 Look forward to cocktails and canapés served at the central island breakfast bar and try out all the gadgets and gizmos while cooking breakfast in this fabulous chef’s kitchen. Full height white cabinets accommodate a range of stainless steel appliances, china and cookware to make short work of cooking and entertaining. Even the chef can enjoy the stunning waterfront views! 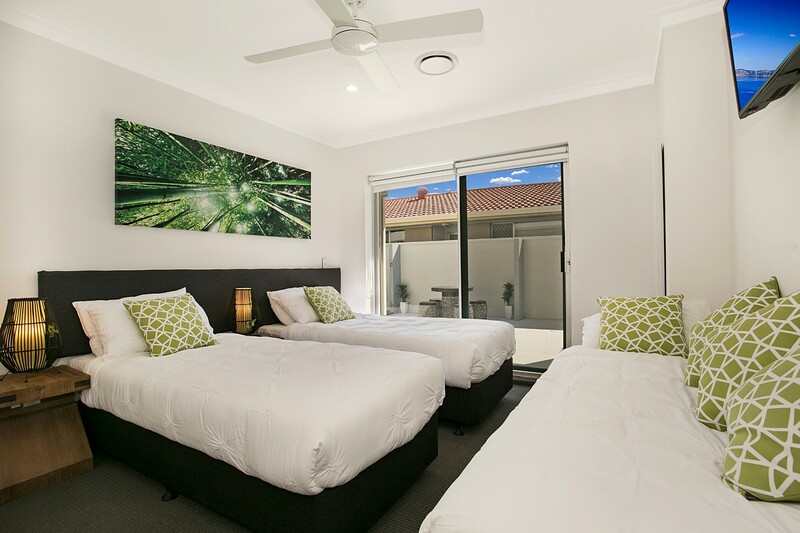 Light and spacious bedrooms have air-con and ceiling fans. 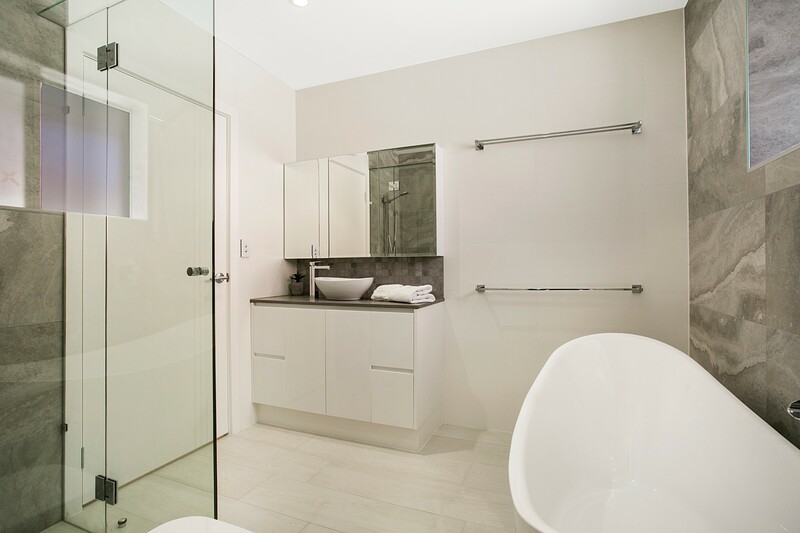 Two bedrooms have ensuite facilities with a family bathroom and guest toilet serving the other bedrooms. 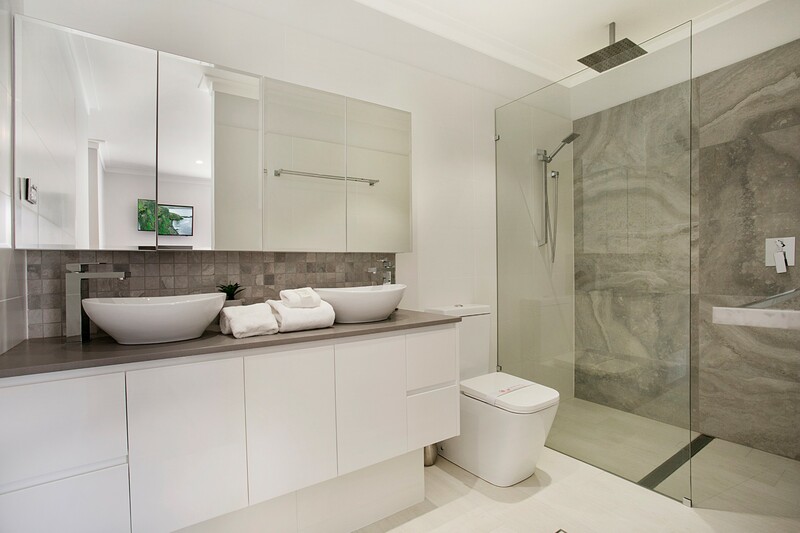 Stand-alone bath tub, modern vessels sinks and large walk-in glass showers available. The pristine wooden pool deck overlooks the river and is the perfect space for relaxing with a bottle of chilled chardonnay, enjoying a barbecue and dining outdoors at a choice of dining areas. 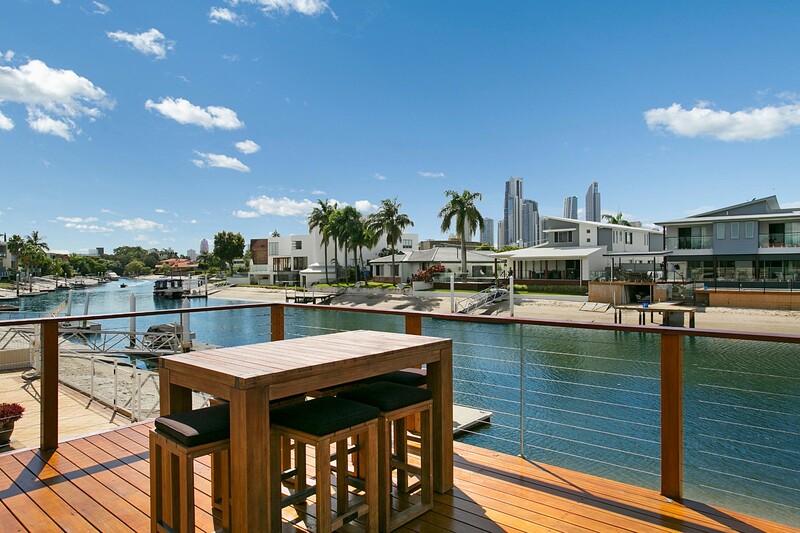 This Gold Coast holiday rental has direct access to the canal where you can launch the complimentary kayaks from the sandy beach and head out exploring! 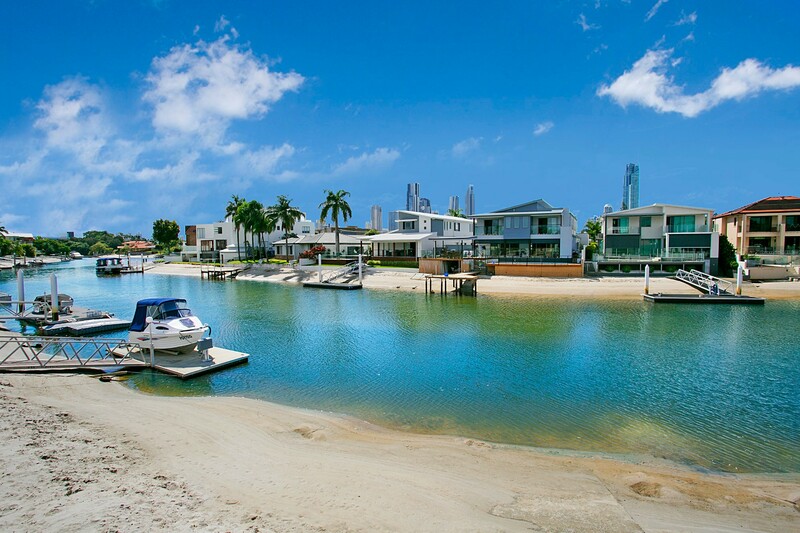 Capri Waters holiday rental is in the Isle of Capri suburb, a large island on the meandering Nerang River. 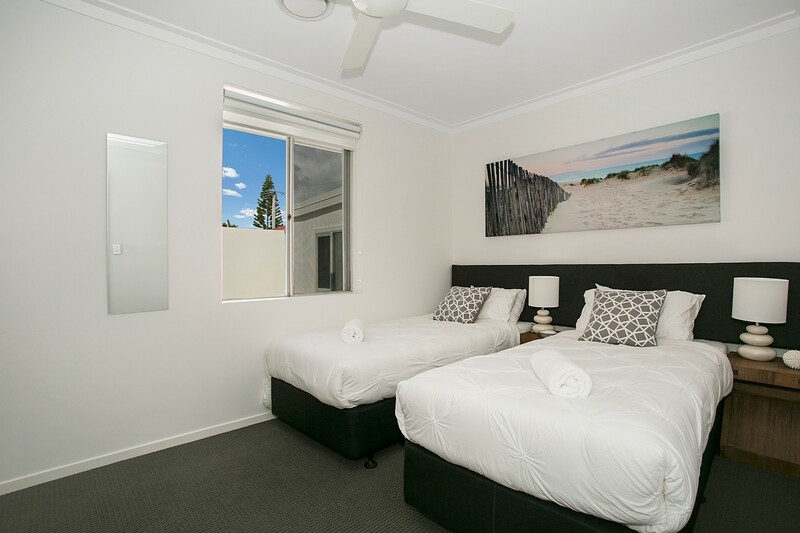 It’s just 5 minutes (1km) from Surfers Paradise and 2km from Broadbeach. 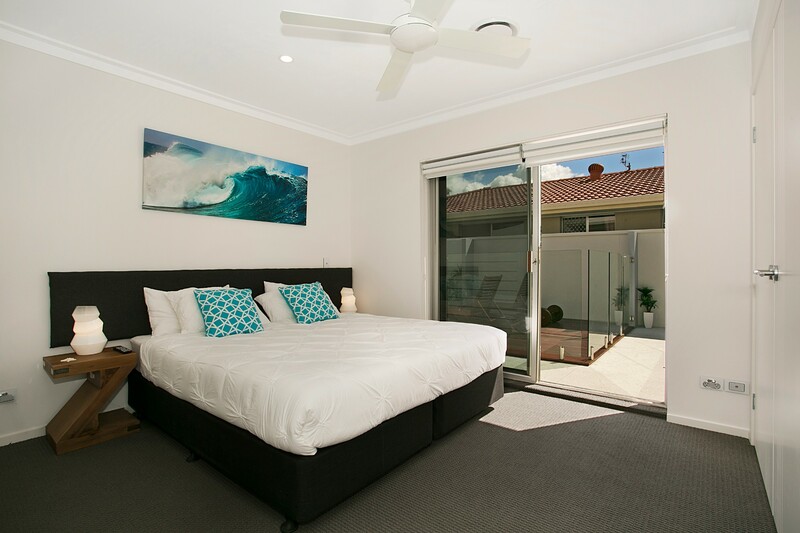 You can even walk to the beach 1km away for a day of surfing, sandcastles and sunbathing. 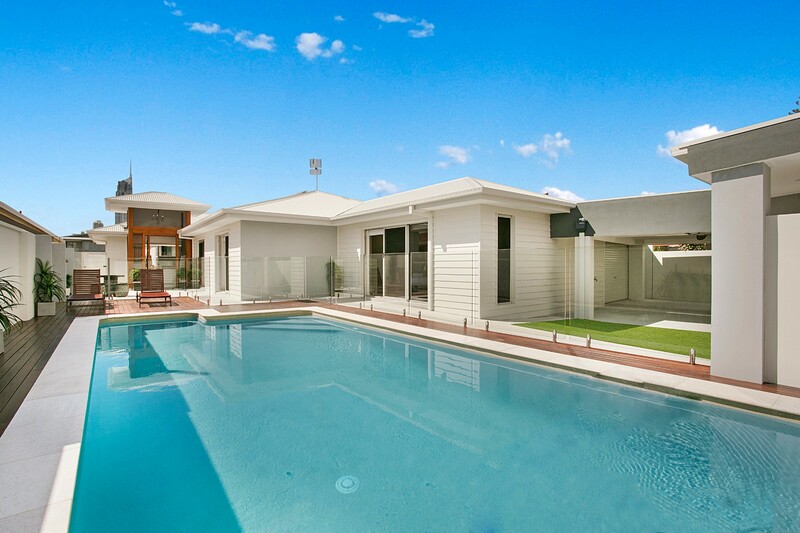 Park the car in the garage and make use of local transport, just 250m from the door. Other attractions include the 400+ shops and restaurants at Pacific Fair and the lofty Skypoint Observation Deck. You can probably spot your Isle of Capri holiday home from the top! Take time to stroll along Via Roma to the awesome set of neighbourhood shops and restaurants. Go hungry and check out the breakfast creations and Mediterranean food at the popular Manolas Brothers Delicatessen. Gold Coast Airport is 28km and Brisbane International Airport is 85km away. 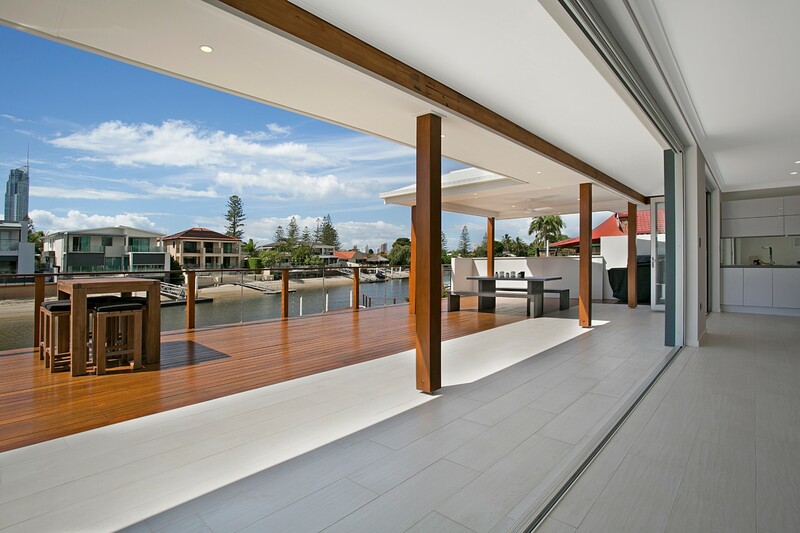 Ideal for friends sharing or family celebrations, this waterfront home has space for spreading out with media room and pool. 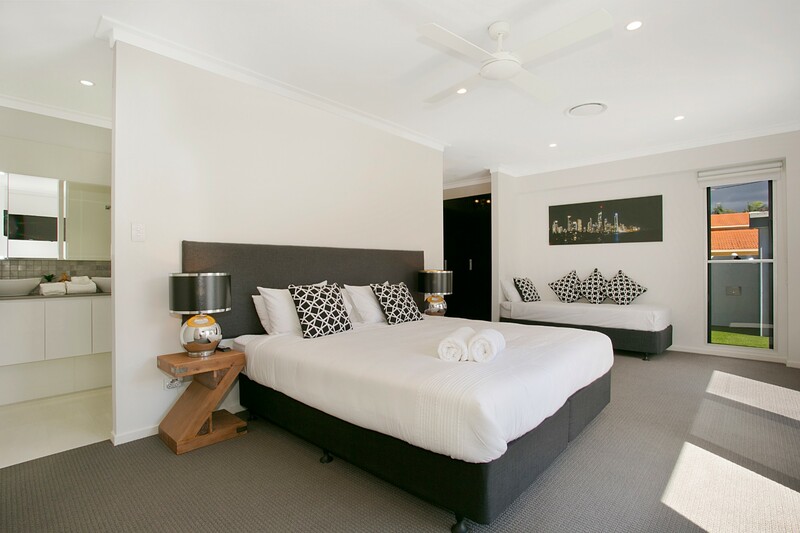 Everyone will find plenty to do with beach, cafes and shops within walking distance. The property can maybe use some blinds for the hot early mornings. Other than that the property was perfect and the whole group had a wonderful time we always looked forward to coming back to the property and enjoying the wonderful view from the patio. The views were great from the balcony. Kids loved the pool too. Very spacious house.